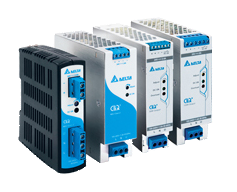 Delta Electronics has added 24V 240W and 24V 480W output to the high power density CliQ III series of DIN rail power supply. 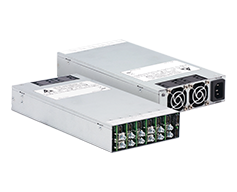 DRP-24V240W1CAN and DRP-24V480W1CAN have a wide operating temperature range of -25°C to +70°C, providing full power up to +60°C. 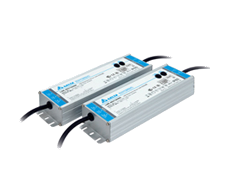 The built-in active PFC product can successfully start up at extremely low temperature of -40°C and high power conversion of up to 94% efficiency. Like the rest of the CliQ family of DIN rail products, conformal coating is applied on the PCBAs to protect against common dust and chemical pollutants found in industrial applications. 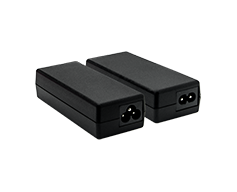 The product is encased in rugged yet lightweight and full corrosion resistant aluminium casing. 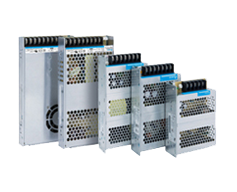 Major safety approvals include IEC/EN/UL 60950-1 for Information Technology Equipment (ITE), UL 508 for Industrial Control Equipment (ICE) and OVC III according to IEC/EN 62477-1 / EN 60204-1 (clearance and creepage distances) and IEC 62103 (safety part); EMI comply with EN 55032, Class B and fully compliant with RoHS Directive 2011/65/EU for environmental protection. 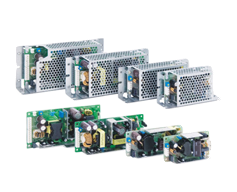 The products have universal AC input and are also certified for DC input. 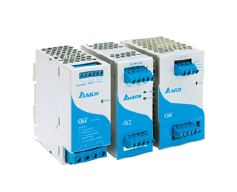 Some other features include Power Boost 150% up to 5 seconds, compliance with harmonic current IEC/EN 61000-3-2, Class A and built-in DC OK relay contact. 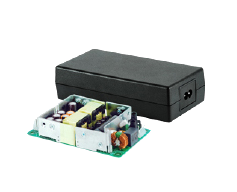 The intelligent overload protection in constant current mode makes the power supply suitable for battery charging applications.